Only 6% of companies suffering from a catastrophic data loss survive, 43% never reopen and 51% close within 2 years. Too many businesses fail because they were ill prepared for an IT disaster, even when a simple solution like online backup could have easily saved them. The speed at which your IT assets can be returned to normal or near-normal performance will impact how quickly your organization can return to business as usual, or an acceptable interim state of operations. Embee can help. Can you bring your data back to life, in minutes? Nearly 3 in 4 companies worldwide fall short when it comes to disaster recovery preparedness, believing most solutions are too expensive and complex. However the cost of unexpected downtime and data loss could be catastrophic. 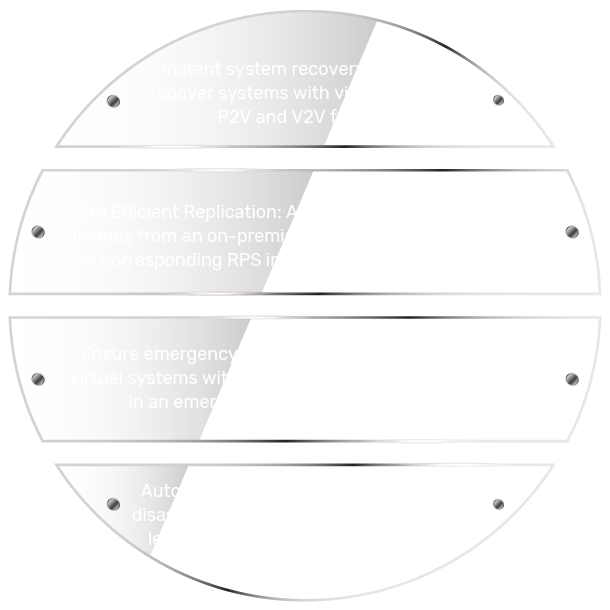 Embee can help you implement a Disaster Recovery solution that is powerful, highly flexible and reliable. Our solutions helped scale up a state government’s finance department disaster recovery capability through development of a robust a disaster recovery center, resulting in downtime reduction of 0.1%. Business Continuity is a business problem. More data has been created in the past 2 years than in the entire history of the human race. Not only is your data growing exponentially, it is also scattered across servers, desktops, mobile devices, and multiple geographic locations. Protecting your data with powerful backup and recovery solutions has never been more important. 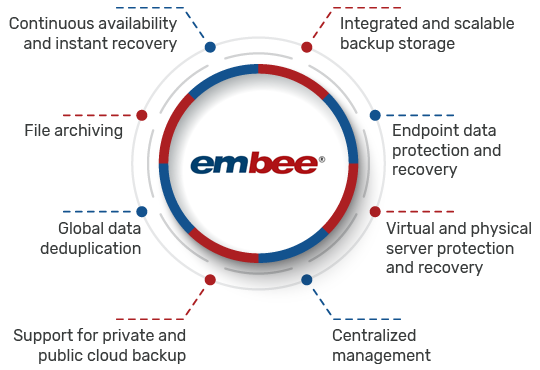 Embee can implement a solution that ensures your critical data is always available when you need it. On behalf of the operations team I would like to congratulate you on successfully completing the Barracuda Backup project and providing a wonderful presentation of the same for Reliance Communication. It’s all because of the dedication and hard work of your team that our department could complete the project in time successfully. I sincerely acknowledge the hard work your team had shown in past 3 months and configured the backup for approx.144 servers across Mumbai, Chennai, Chandigarh and Kharagpur locations. I am aware that there are days you all have spent hours working overtime just to finish the project and do sincerely appreciate the effort. Embee is a Gold Partner of Veritas and Premium Partner of Barracuda.